History and Vision - FREEDOM WORK OPPORTUNITIES, INC.
​Freedom Work Opportunities, Inc. (FWO) is a Non-Profit 501(c) 3 corporation, founded in 1983. ​HISTORY In 1983 Harry and Beverly Weeks experienced, first hand, the difficulties and hardships of transitioning a challenged child from school to work. They took the initiative to reach out to those in need and founded FWO to assist with vocational training, assessments, supportive employment, and job placements. 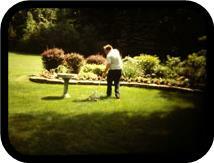 The organization originally started with a crew of 6 consumers providing lawn maintenance to area group homes. With a focus on quality, our lawns were quickly recognized as the best maintained lawns in the neighborhood and our services highly sought after. Our program then expanded into creating quality wood furniture at our woodshop location. OUR VISION MOVING FORWARD The Vision of Freedom Work Opportunities, Inc. is to be a long-term provider of high quality, realistic vocational training and skill building. Through the guidance of the Home and Community Based Services Transition we will advocate for those who receive services and assure compliance through privacy, dignity, respect and freedom from coercion and restraint. With gentle teaching, we promote personal growth and full participation in community life without compromising health and safety. All members of the organization together will aspire to be a consumer-driven service provider that strives to make a truly meaningful difference in the lives of the persons and customers that we serve. Our vision is to be a leading provider of innovative, integrated community services and a role model for programs of the future. F.W.O. supports the Person Center Planning approach where all individuals will be given the right to make personal choices, within their selected authorization. Structure is given within each program service that we offer and the opportunity to request modifications or changes readily available upon request. By allowing individuals the right to voice their opinions and the right to choose, it is our intent to promote the ability for individuals to control their own destiny with full access to the community. Our focus remains on being a Quality Consumer Driven Service Provider with future sustainability.